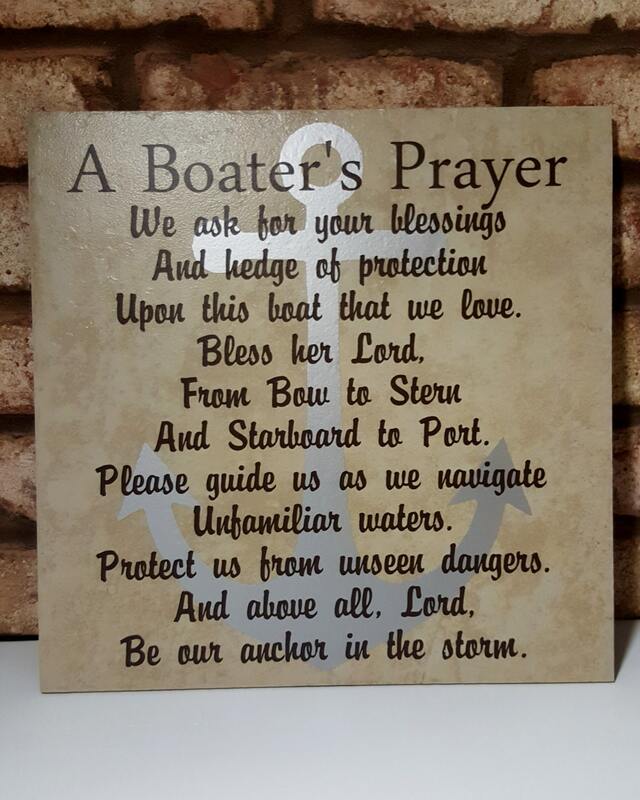 Our Boater's Prayer is an original verse by Cynthia Stiltner. She has given Three Dames Dreamin' exclusive rights to create and sell products using this original verse. 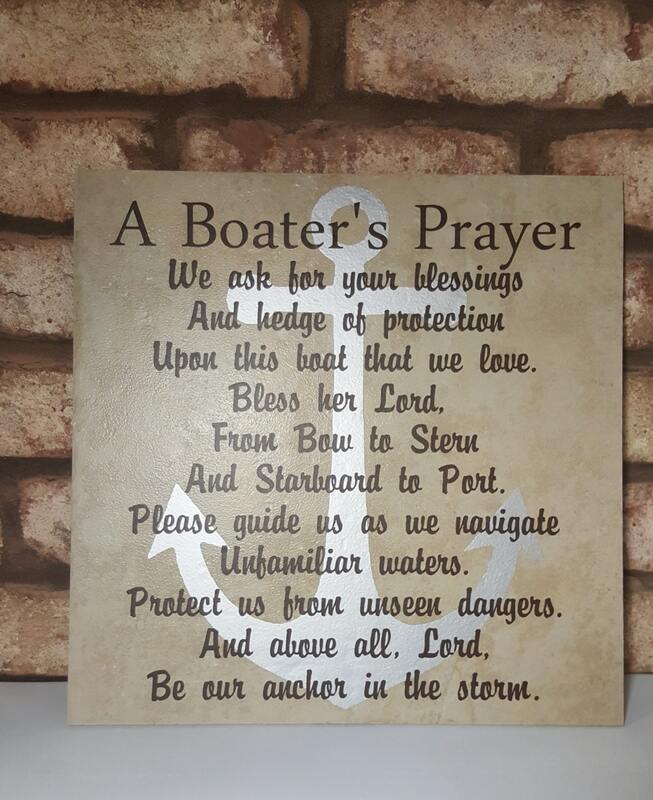 If you love your boat, we think you'll love this Boater's Prayer. 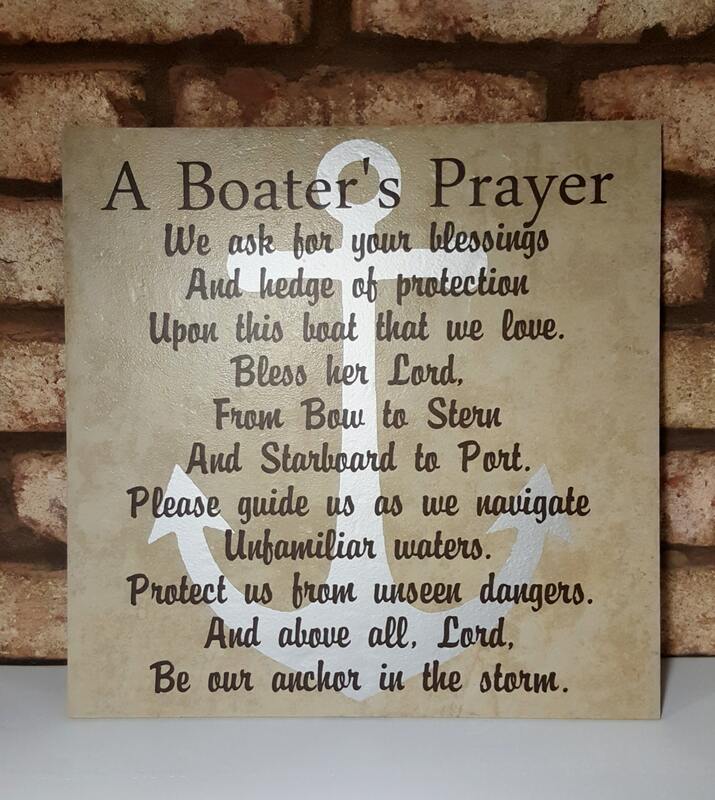 This piece comes complete with an easel backing so you can set it on a table or shelf or you can hang it using the small saw tooth hanger on the back. 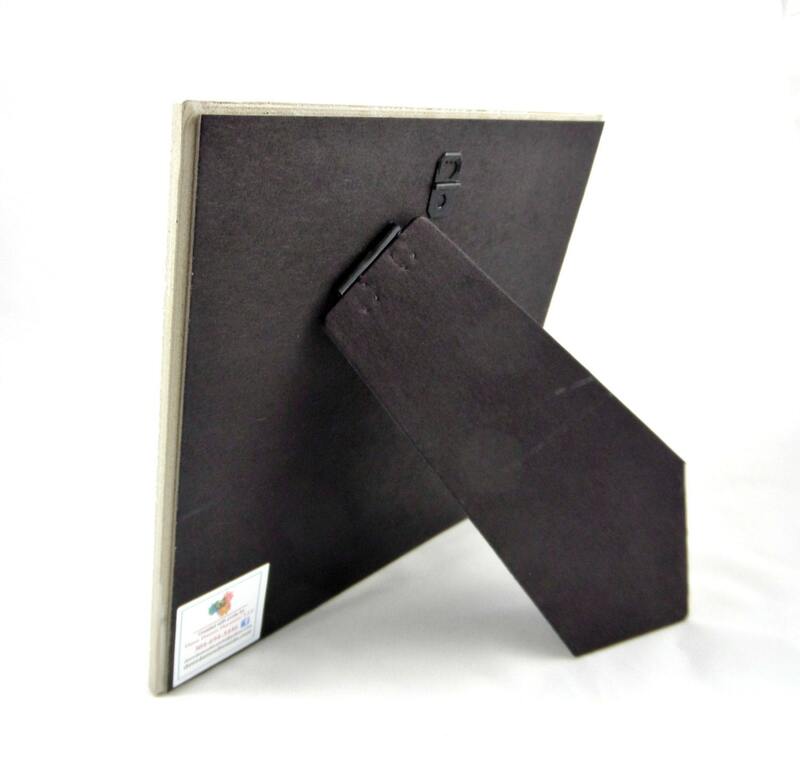 The easel backing gives it a lovely finished look and makes it easy to display almost anywhere. 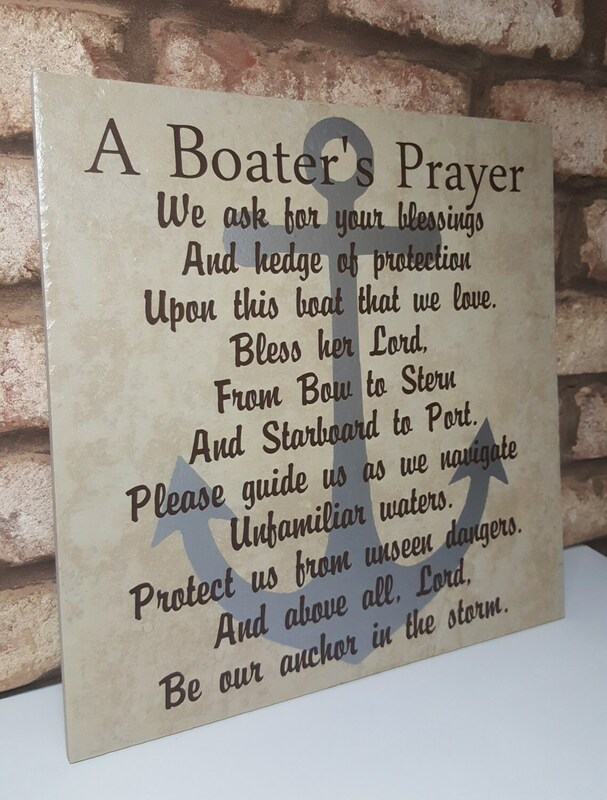 This would make a perfect gift for friends or family who love their boat and always make you feel welcome when you come aboard.